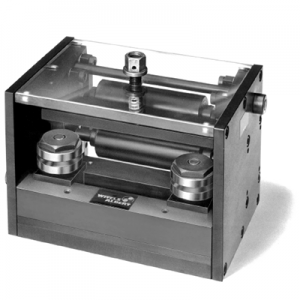 The RF model is specialty model guide used with linear traversing units, which are commonly used for guiding in spooling applications; such as, the Uhing rolling ring style traversing unit. It is built in the German tradition of high quality and readily available with attractive pricing. 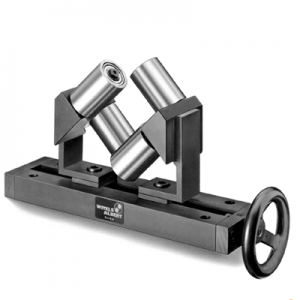 This guide suits a wide variety of applications and is used in many wire and cable applications such as bunchers, cable stranders, wire drawing spooling. This high quality and robust design is suited for material diameters from nearly 0mm to 250mm OD in six different sizes and on a custom basis larger units can be supplied. The RF is most commonly used in cable applications but also can be used for tubing, wire and other materials with consideration given for size and roll materials. 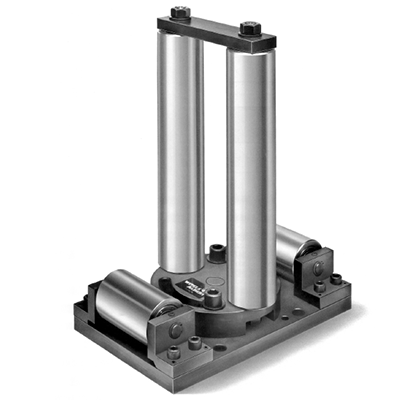 We use the highest quality roller bearings and chrome plated roll sleeves as standard. 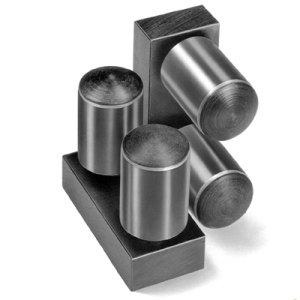 We offer a number of other roll type possibilities for specific applications to tailor to unique demands including sleeves in different materials like stainless steel, PET plastic and hardened steel. 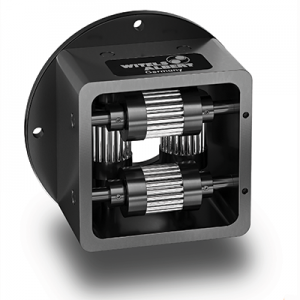 There are many options available and is supplied with a rotation adjustment as standard.